will there ever be a way to use the old custom cannons again, maybe in an older beta? 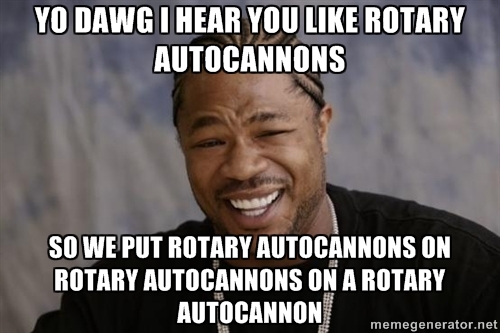 (2016-04-18, 08:59 PM)EnzeeeJ Wrote: will there ever be a way to use the old custom cannons again, maybe in an older beta? What this has to do with the topic? since this is about accessing other betas and test versions of the game i thought that this would possibly be the right topic, but which topic would you sugest? It looks, you are asking for a feature rather than older version of the game (btw. alpha not beta). Therefore, that is why is rather not relevant to this topic. I haven't tested, but I believe older cannon can be unlocked via modding. Custom cannons not available via modding if you want them you can download an old Russian torrent presumably ! (2016-04-19, 07:36 PM)Nick Smart Wrote: Custom cannons not available via modding if you want them you can download an old Russian torrent presumably ! Making previous release versions available on steam via "beta channels" might be useful in some situations.